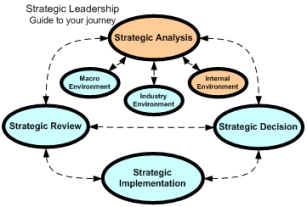 For those completing an internal analysis this page provides you with more detailed on your organizations resources. In manufacturing resources can be viewed as inputs into your businesses production processes, this might include capital equipment, the skills of your managers and employees, finance or even patents. In a service organization your resources could be anything from your businesses assets to customer and employee goodwill. What makes a good leader is the ability to identify those resources that have strategic value to your organization. For example you may have 32 company cars in your business, which would technically be a physical resource but if they hold no strategic value you don’t need to list them in your internal analysis. What makes a good leader tip: The longer and more detailed your analysis the less likely you are to create a meaningful strategic plan based on that analysis and even then you only have a 20% probability of implementing the actions.